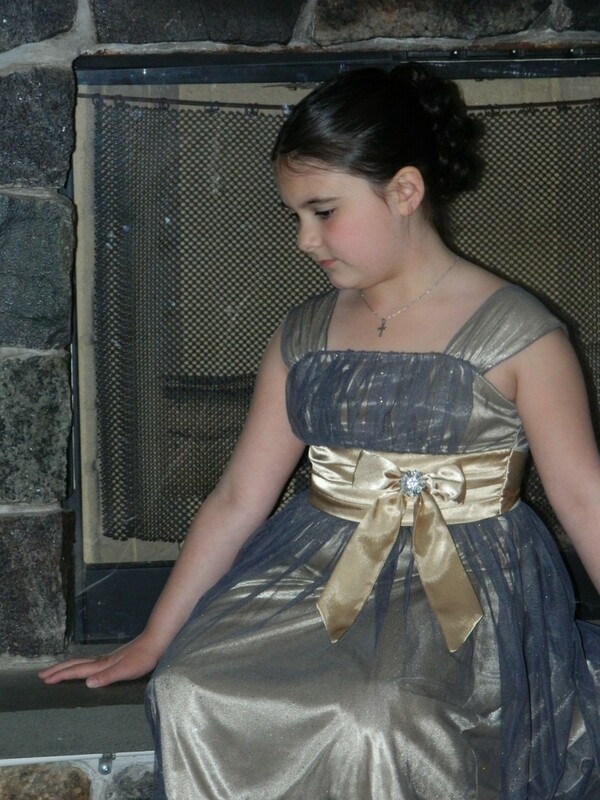 I absolutely love this picture I took of Holly from the night of the Father Daughter Dance. She was more than happy to pose for me and this one was my favorite. I love her profile and how grown up she looks. She got this dress for her birthday back in November from Nana. When she opened it she immediately said that was the dress she wanted to wear to the Father Daughter Dance and she never changed her mind about it. I am so glad she decided to wear this one because it was so ‘her’ and looked awesome on her. I am also glad she wanted to wear her hair up again because as much as I love her hair, I think it looks beautiful off her face because her face is so pretty. Yes she is my daughter and I’m supposed to think she’s pretty but seriously look at this girl. She is beautiful! More Father Daughter Dance pictures to come!